Each bumper corner has angled ends to deflect craft. The contours of each piece protects above the dock face as well as the dock face itself. Excellent gunnel protection for bass and ski boats. 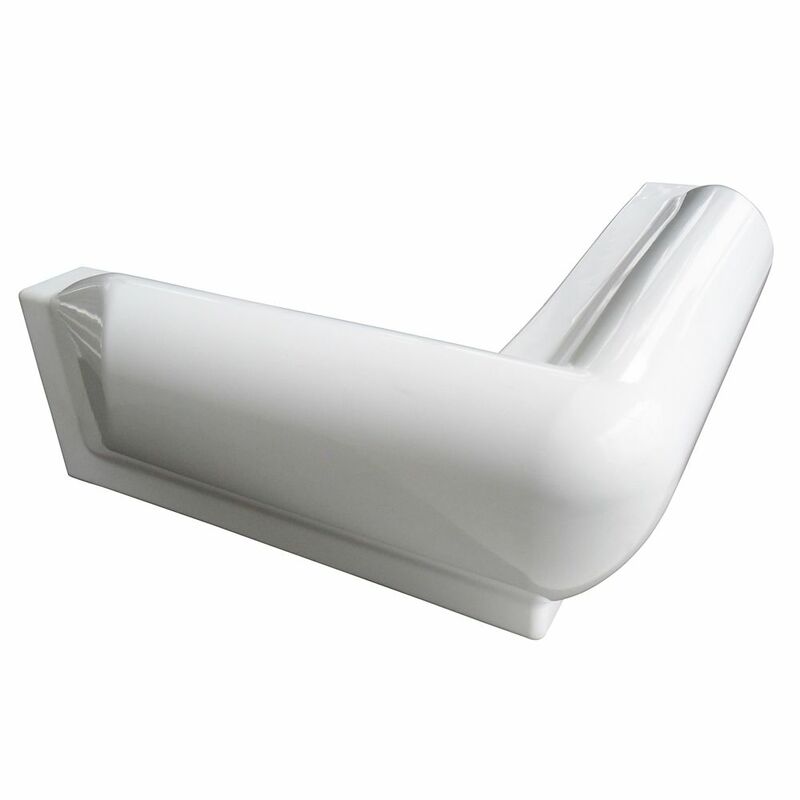 Dock Guard Vinyl Corner Bumper is rated 4.8 out of 5 by 6. Rated 5 out of 5 by HomeDepotCustomer from Cheaper than what I could buy them for from the... Cheaper than what I could buy them for from the local marine store and are excellent quality. Haven’t had any issues with them marking our boat and have held up well. Rated 5 out of 5 by Paul930 from Surprised to find the best deal at HD. They... Surprised to find the best deal at HD. They work great & easy to install. Rated 5 out of 5 by NEJuan from Excellent value, excellent product I bought this product a month ago and installed it recently. The product is a great value and lower priced than other options. I would definitely buy it again. The only downside was that it took longer to get than expected. Rated 5 out of 5 by daddies3rd from Satisfactory Had to drill our own holes for mounting, but it wasn't difficult. The fit is great, hoping it will hold up against the sun and weather elements. The item was online order only, but it was out of stock. You supplied us a way of knowing when you got more by offering to send us an email. That is very customer satisfaction conscious. A+++ for Home Depot.